Sigh…I love monograms. I can never quite put my finger on what it is about them that makes me so happy. I mean, it’s just a letter, right? In the song ‘Someone to Watch Over Me’ there’s a line that says, “I’d like to add his initial to my monogram”. And maybe that’s part of what I love about them. They’re so identifying aren’t they? When I got married, that middle letter of my monogram changed, going from an ‘R’ to an ‘H’. And suddenly ‘H’ was my new favorite letter. Several years later a new family member joined us and I found myself loving the letter ‘I’ oh so very much….and the little boy it was attached to of course! And a few years after that a little miss ‘L’ came to be part of our family. Simple letters suddenly representing my heart. Given my love for these letters it only made since that when I was presented with the opportunity to try out a Christmas tree from Balsam Hill that I would take the opportunity to create our own little ‘Family Tree’. The artificial tree page on the Balsam Hill website, while filled with tons of options, makes choosing the right tree for your home an absolute cinch. I felt a bit like Goldilocks on the hunt for just the right tree to go in my entry. It couldn’t be too big or too small or too wide or too narrow. 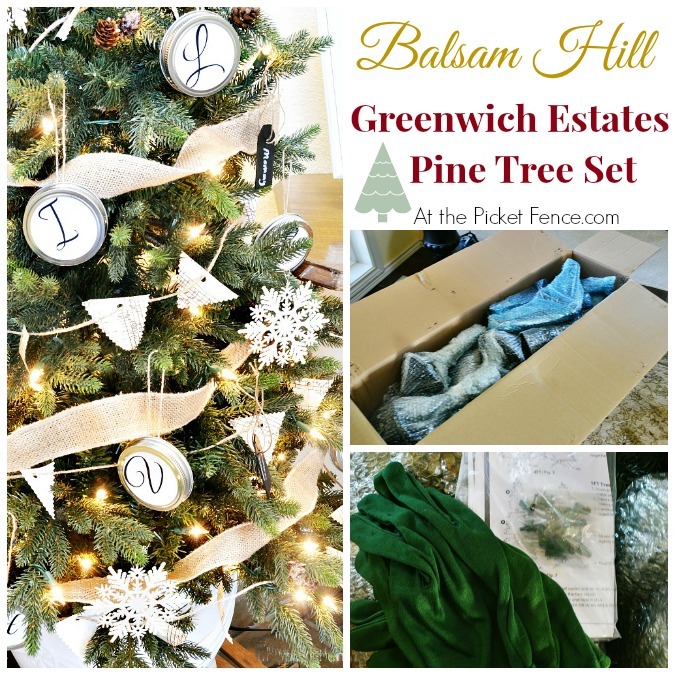 So when I spied the Greenwich Estates Pine Tree Set I knew it was just right. 3 trees with the middle size being the perfect one for me. There’s just nothing like having a big box delivered to your front door during the holiday season is there? Rather than using the existing stand, I decided to place my tree in a pot and then load it up onto this little wooden sled. I think it looks like it might have just been pulled in from the forest. If that forest grew trees covered in white lights and fully decorated. The branches on this tree are the most realistic artificial branches I’ve ever seen. Every time I bend down to plug it in I expect to catch a whiff of fresh pine scent. 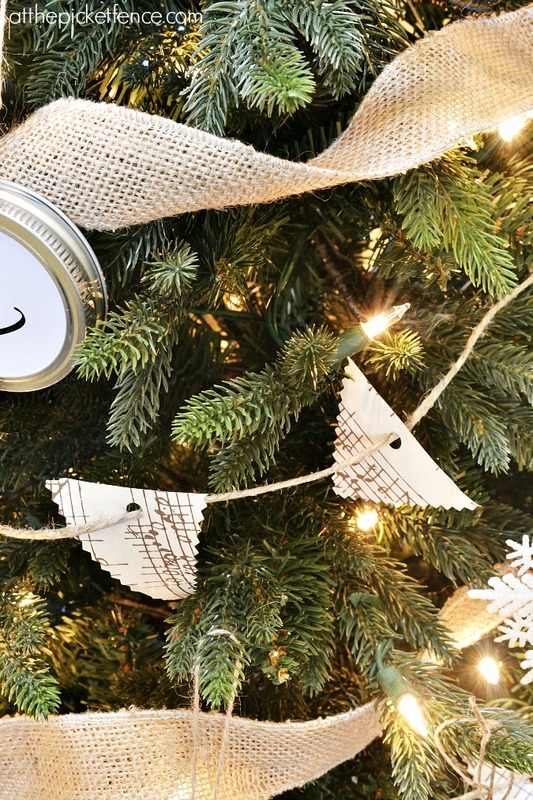 Mason jar lids became the perfect way to celebrate my favorite letters in the alphabet. I simply printed out each letter, used the lid to trace around it, cut it out, placed it inside the rim and then added the lid to the back. I secured it with a dab of hot glue and attached a piece of twine to the back so that it could hang from the tree. I added a paper garland made using music sheet wrapping paper (leftover from last year) and twine. Simple and lovely and free. I had the kids write words that describe our family on little chalkboard tags before hanging them on the tree. This one is definitely true! And, of course, the letter that started it all had to hold an honored position at the top of the tree. Every morning when I come downstairs I walk past this family tree as I head towards the kitchen…and the coffee. I see those letters representing the names of my most favorite people in all the world. And how it all began when I added “his initial to my monogram”. 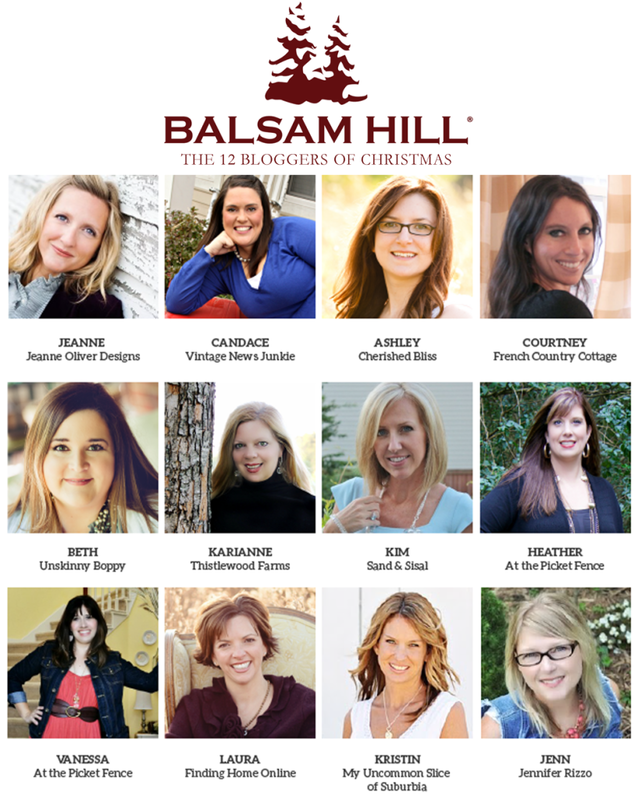 Balsam Hill’s 12 Bloggers of Christmas Series! 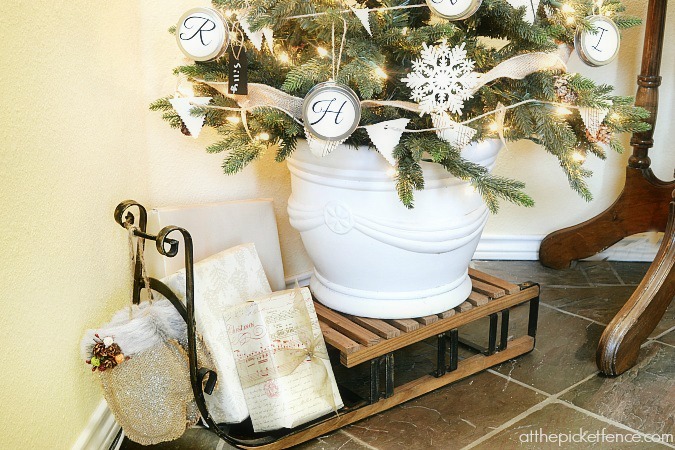 Here’s a sneak peek at the tree you’ll see today from Ashley of Cherished Bliss! 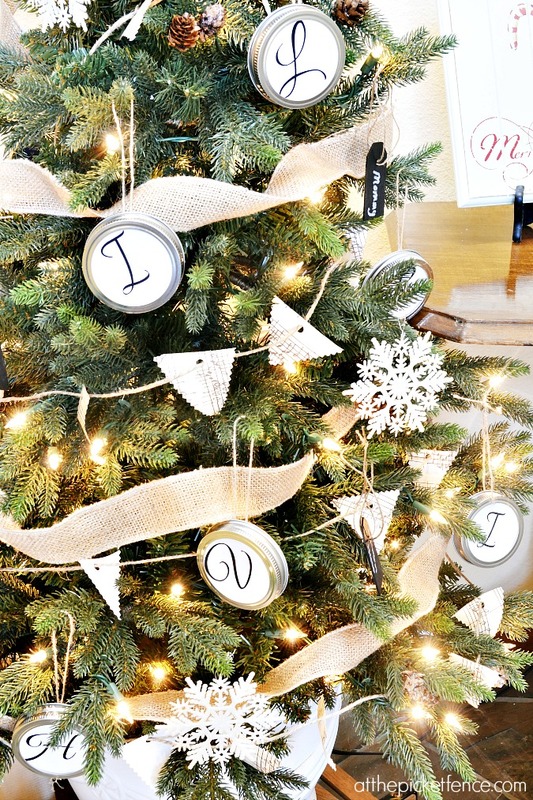 Be sure to stop by and visit all of these talented bloggers this week to see their trees! 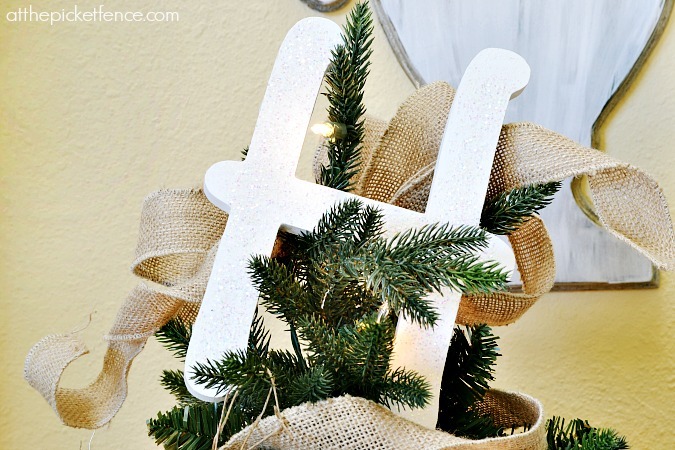 37 Comments on "Monogram Themed Christmas Tree with Balsam Hill"
Vanessa – I love it. Just perfect for that spot and I love the pot and sled!! That is a gorgeous fake tree ! You have decorated it beautifully ! 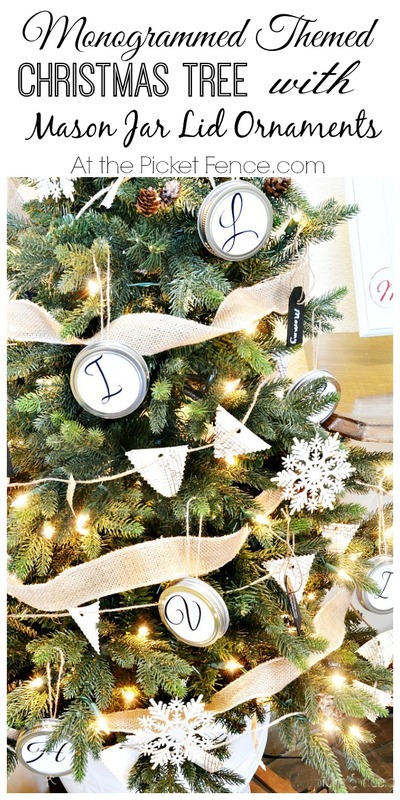 I decorate 13 trees for Christmas I would love for you to visit ! This is beautiful Vanessa! I love those ornaments and I just adore that sled! Beautiful beautiful work : ) Pinning! Love it!!! Such a perfect little tree! Oh my goodness Vanessa, the tree is fabulous!I love how it at the front of the house to welcome your guests! Perfection. This is beautiful, Vanessa!! But, not nearly as beautiful as the story of your Monograms! How precious. You are blessed with such a beautiful family and now you have a tree to celebrate it! Way to kick off a fantastic week of magnificent trees!! Gorgeous, Vanessa! I’m loving the look of the burlap ribbon. I bet this would also be the perfect size tree for an apartment or smaller living room…now you have me thinking of all the possibilities! :)Thanks again for sharing! You are such a rock star! 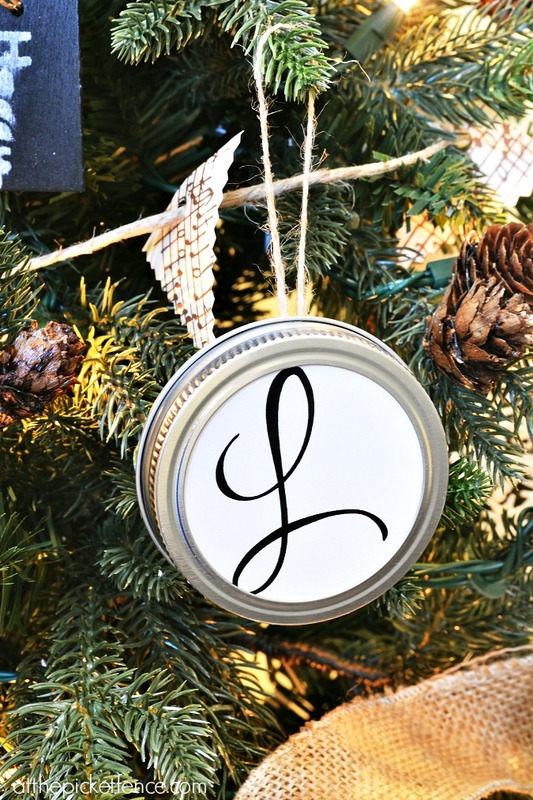 Love the idea of using the lids….and of course anything monogram has my name written on it (literally)! LOL! Happy, happy day to you my friend! GORGEOUS! I’ve always been BC but then when I got married I became BCB. I understand the letter love! 🙂 Beautiful photos and tree! 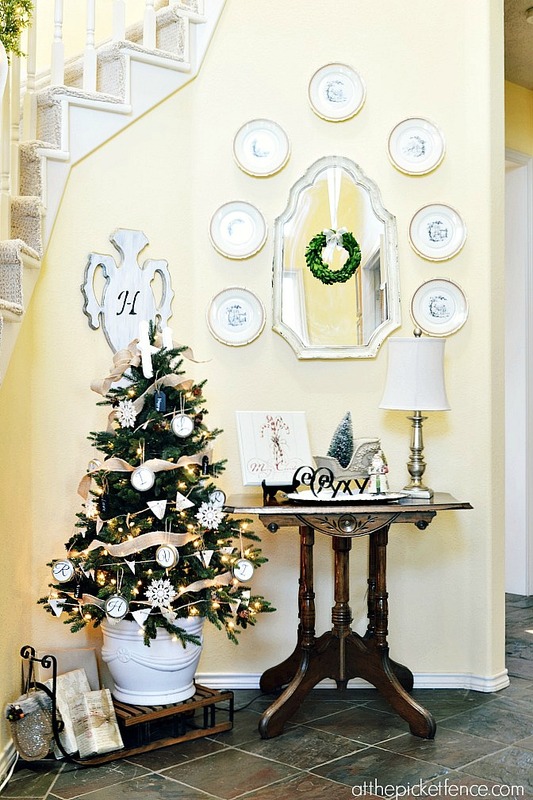 Happy Holidays– Very excited to share my Balsam Hill post tomorrow! Vanessa, that is adorable and what a great way to celebrate your immediate family! BTW when the Atlanta Bloggers come to visit I am so totally hunting down and stealing that sled! Lucky you! 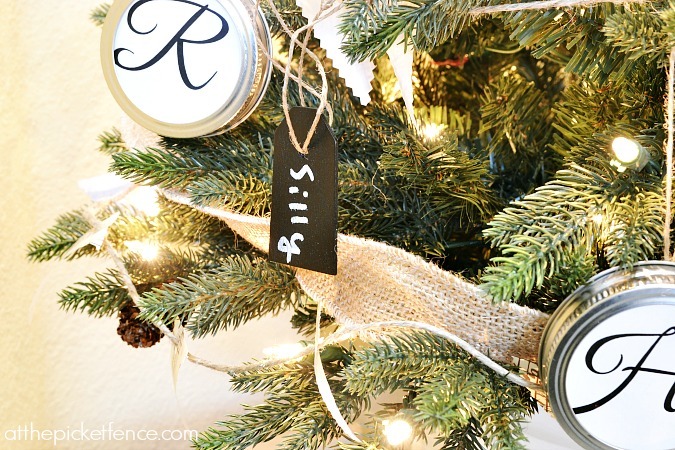 I have been using trees and garland from Balsam Hill for years. I don’t use the large tree anymore and got a little one for the sunroom. My other tabletop tree is not from Balsam Hill, but maybe next year. They are so life like and I love how you decorated yours. 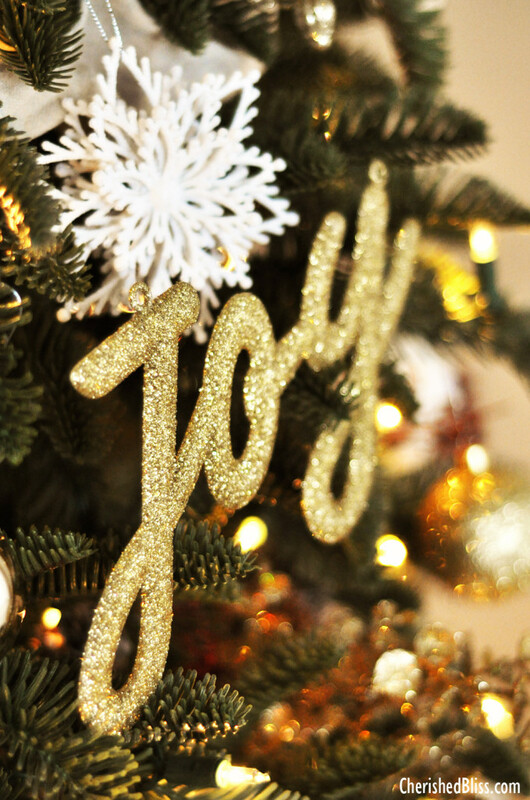 Love the monogramed ornaments and the gold pops are beautiful!